ProBuilders is a general contracting company that specializes in foundation repair the Dallas-Fort Worth area. Foundation repair is not a “one answer fits all” plan. Our foundation repair specialist work with homeowners in the North Texas Region to find the right foundation repair plan for their home’s foundation issues. ProBuilders specializes in residential and commercial foundation repair. In areas such as North Texas, where homes are built on clay, expansive soil foundation repair usually is a reality of home ownership. ProBuilders understands that this reality can be overwhelming, scary and confusing to homeowners. 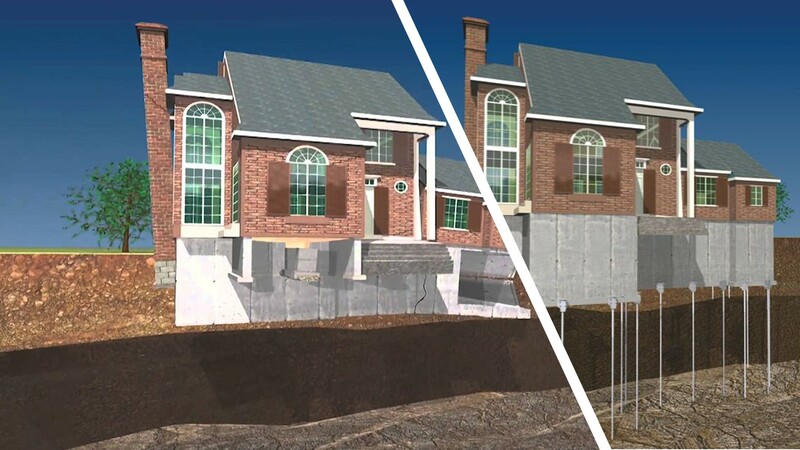 Our dedicated staff takes the time to explain foundation repair to homeowners; going over the causes of foundation damage, the repair options and process of foundation repair. ProBuilders take pride in our work, and are dedicated in making sure that our customers are 100% satisfied! We also provide a Lifetime Transferable Warranty to back our foundation repair; therefore providing you, and those that come after you, with the confidence and peace of mind needed as a homeowner! A foundation failure can exhibit itself in a number of ways! Some types of foundation damage are easy to see, such as cracks in the interior or exterior walls. Others however, are not so obvious (loosened plumbing under the house which in turn causes slow leaks. Cracks in your home’s brick are more than cosmetic issues; these cracks can be an indication that your foundation needs repair. Drywall craks are one of the most common signs that you have foundation problems. Craks will usually appear around door frames, in the ceilin, in corner and along the walls. Doors and windows get stuck in their frames when the frames are no longer square. In some cases bent door and window frames can be caused by a foundation shifting. Doors can stick, swing open after being shut, or have gaps at the top and bottom of the door. Windows can become difficult to open, stick and can separate from the framing. Cracked or popped tiles may indicate the foundation is buckling, bulging, or sinking. Most of us had been in bed late at night and heard an occasional creak and said, “Well, the house is settling.” If your house creaks fairly often and especially if you hear popping noises, then the house — at least part of it — is definitely settling! The popping you hear is most likely the joists, beams, and/or studs moving or cracking as pressure is put on certain parts of the structure. This movement and those strange sounds are often signs of foundation problems. If your water bill goes up yet you’re not using any more water than usual, it’s possible that there’s a leak in your plumbing. If you’ve looked about your home and not found any water anywhere (don’t forget to check in the yard, too! ), then the leak may be underground. This can happen when the soil shifts and a water pipe cracks or it pulls apart at a fitting. This can also happen when the foundation shifts and cracks the pipe or a fitting. Not only does this waste water and run up your utility bill, it can further damage your house by soaking the soil in or around the foundation, causing it to wash away or to push upwards. If your water goes up for no apparent reason, call a plumber and have them perform a leak test. When your home is built, the support structure is designed to hold whatever is on top of it. Over time, unstable soil, poor support design or waterproofing issues can damage your home’s foundation and cause uneven floors.